Last year, I said I Am Done and I had every intention of moving on from YouTube to pursue more meaningful pursuits. Mainly it was about writing my novel, A Decade of Denial and Deception. While I have made tremendous progress in writing the book with over 70,000 words written, I kept going back to YouTube to discuss important issues in the news. Time once again for a new start. First, I have to confess, I have an compulsive work ethic. When I start something, I keep at it like a dog. 800+ videos on YouTube and the Sons Of Liberty Academy show that. The problem is that all of this has taken away time from other more meaningful pursuits, like this book I started writing last New Year’s Day. I found my self sucked into doing videos again and again. Making little little waves here and there. I really want to make a big collective conscious splash with my novel. If I can get everything in my head efficiently on paper I think it will be huge. I need to finish it. Secondly, by working on YouTube, I am in effect promoting and empowering Google and thus at their mercy. I know my channel can and will get shut down into the memory hole at any time. All of this work gets shut with a flip of a switch when it becomes either too late or too dangerous. Third, I am not so sure that also my work is not being throttled or interfered with on YouTube. I find it rather difficult to believe I have the same daily views with 78,000 subscribers as I did when I had 10,000…. Also how do I get 2,000 new subscribers every month and I release well thought out and produced videos and only get 17 comments? In both circumstances, there seems to be a depreciating return on investment and time to move on. I am starting a weekly podcast on SilverShieldXchange.com starting January 12th for those on our email list. You can subscribe here at the top right hand corner of this blog. Ryan Brooks and I will cover the weekly news with a unique perspective that I feel is very under served in the alternative media that spins the Hope and Fear loops. Here we will go back to building a list of contacts with consciously aware individuals that can never be shut off by Google. An individual solution to a collectivist problem. Finally, I have way too many sites and efforts. I have something like 8 Authorized Dealers, 7 websites, 2 YouTube Channels, and 1 SilverShieldXchange. I have emails everyday for people looking for something, because of this creative mess I am in. So starting today, I am only posting and working SilverShieldXchange.com. 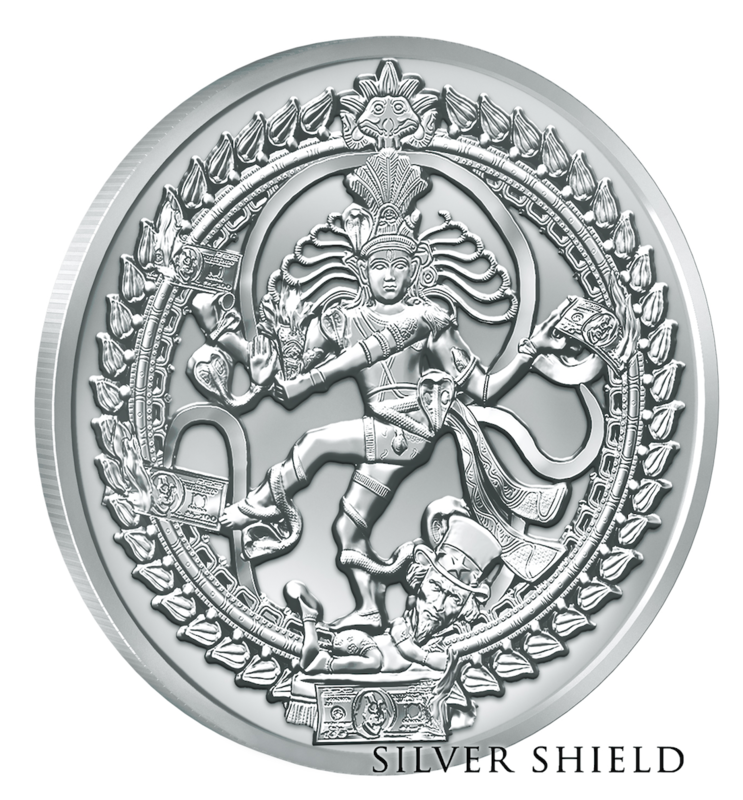 Here I will post articles and video, run auctions and promote the latest Silver Shield Collection. Now we can have everything off of one site. I thank you all for your continued interest and support. I know 2015 will be a very interesting time to be alive. Chris I just want to say that for every person the did take the time to comment, that there were hundreds more who didn’t. I’ve been following your work for years and can’t thank you enough. I understand your move to get away from that part of the beast. Now get back to your book. I will be looking forward to reading it. Thanks Chris. God bless and Happy New Year to you and yours. Happy and prosperous 2015 to you and your friends! HNY! We appreciate all you do for us Chris. Chris, It is overtly apparent that you have been blessed by God with a unique creative ability and intense fortitude in the pursuit of truth, goodness, and beauty. It is good to see that you are going to bring these efforts under one roof and that you will own the structure while removing yourself from the youtube box and numerous websites. I have benefited tremendously from your work since my brother recommended SOLA but confess that it did seem that you were “all over the place” when trying to follow your work on-line! In my opinion this is a great move on your part and I look forward to this new and improved effort. Thanks so much for reaching out to humanity with your inspiration. Many are likely quiet for the same reason I am. The SOLA helped wake me up years ago and I have been very busy improving those things in my control and preparing. I read, watch, learn, occasionally contribute, and mostly have my nose to the grindstone ensuring that my family is cared for and preparing. I look forward to seeing more of your progress in 2015. Peace, prosper, and be well in the new year Chris. One site for info would absolutely be wonderful and much less confusing. People keep adding subscriptions, but not watcing more movies. So you’ll see a falling views per subscriber, across Youtube. In my logic at least. Plus long-time subscribers may have heard enough and decide to only watch something when bored or the title seems novel to them. That’s me. Watch less of your videos as it’s increasingly unlikely it will add to what I’ve heard over the past years, from you and others. I have added hugely to my list of economic/truth channels, rarely do I unsubscribe, and I don’t spend more time on Youtube. So vids need to be shorter or it’s costing views per channel. From an outsider looking at the road you have traveled I’m sure you find it hard to give good information when people out there are boasting about the profits you make in silver. (As I have read). The question is how to gain trust, make money, and reach the biggest audience efficiently? It’s hard because you will find many disbelievers on that road and it’s not going to stop. Social media is controlled by the left and that’s not going to stop either. Your book and your reputation will be made AFTER the crash and massive loss this country will face after our politicians pawn it. It’s the seeds you are sewing now that sometime appear feudal, that will make ALL the difference in the coming years, for you, your family, and all the others who listened. Yes… It is about the consciousness of humanity – always the core issue! Hi Chris, once again, I thank you for making 2014 a great and fun year for stacking beautiful silver rounds!! I look forward to your podcasts and stacking as many of your coins that I can this year!!! Wish you and your family a wonderful and joyous 2015!!! Can’t disagree with ya, sometime’s it’s hard to keep track of all the interviews you do. I always want to hear them all, but sometimes they’re easy to miss. Anywho this change in direction is appreciated, keeps things fresh. “A double minded man is unstable in all his ways” can mean different things to different people, to me it means that if I spread my attentions in too many directions, details get missed. My aim for this coming year is to FOCUS and accomplish. Looks to me like we’re on the same page on more than just a couple subjects, and I support you in your direction. Keep up the good work. You’re the guy who inspired me as I transitioned from 13 years in the army (3 combat tours in Iraq) I believe in silver, and I love listening to you! You’re an inspiration to so many of us! Keep it up! Happy new year!! Look forward to the book and some more coins! Chris I thank you deeply for all the time, effort and expense you have given freely of yourself to help all of us. I bless you and pray your will receive 10 fold back for all you have given. We all must do what is in our hearts. This truly is fresh start is in a postitve direction and I look forward to each and every podcast. Your product is excellent and I am looking toward a busy forward building year of goals. Thank you ! Chris, Thank you for your steadfastness and your example you set. There are so many misunderstandings each of us bring up to and after our awakenings that you are bound to have detractors always from within the follower ranks. Remember as you publish the book that the same pattern with social media may play out there- too much invested in one channel which is controlled by the past-paradigm authoritarian structure. Book publishing and NYT #1 list is even more old school and manipulated than Ggl. New publishing is nearly a crowd-sourced phenomenon. As for silver, that is full of minsunderstandings, yet you have a clear path through all the messages and the material goods. That is a genius and a gift of God, I am sure. Calling out collectivist strategies in the form or artistic silver is unprecedented. And then consciously adding the messages of love and Grace through images of silver 1oz rounds is crazy brilliant. Evn those of us who wish to believe we are awakened need your lighted lamp of messages to keep our bearings. When the mathmatical event occurs, we will still need our bearings through the trials. Keep on the lights, and keep telling us where you are going. We won’t follow you of course (as that is not the intent you have), rather, you remain a light-bearer helping us on our own individualistic footprints on this dusty earth. Best always.